Welcome 2GB Listeners Start Here. A huge hello to those who have found us via my “Blog of the Week” talk with Andrew on 2GB Radio. We’re really happy to have you here checking out the blog, and we can’t wait to talk with Andrew again in a few months to update him and talk some more about how to fulfill this crazy dream! 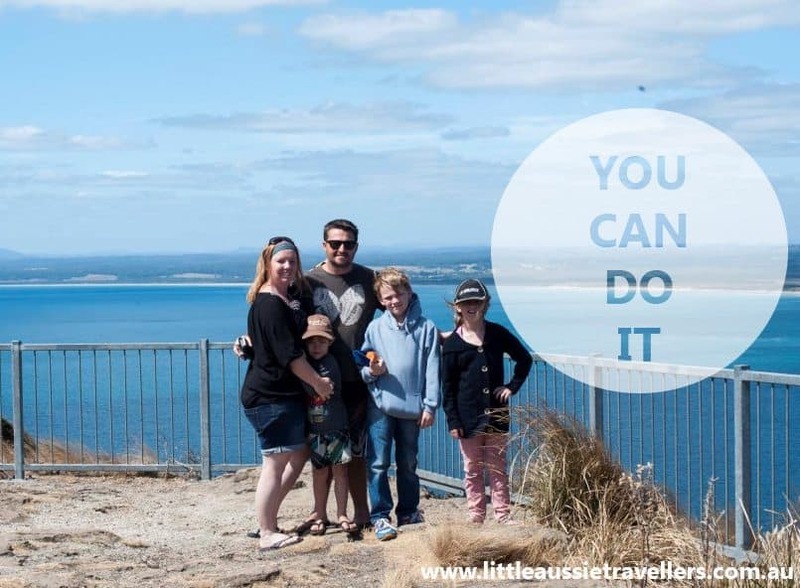 I thought I’d pick out a few of our previous blog posts for you to get you started and give you some idea about heading off and travelling around Australia, but, if you have any specific questions, please feel free to email us at hello@littleaussietravellers.com.au and don’t forget to sign up to our email newsletter over on the right hand side of our website. If you think this travel dream is something that you will only ever dream of doing, then I want you, indeed I beg you to leave that thought where it stands, and trust me that it’s possible for ANYONE to travel Australia. I promise you we don’t have a slush fund, we weren’t and aren’t in high paying jobs, we are very budget conscious and we’ll also be working as we travel, we’re an average Aussie family. 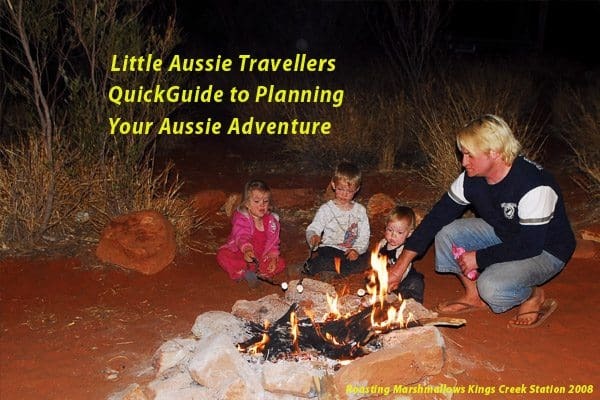 We wrote an overview about many of the major considerations you’ll need to think about when you decide to head of on a trip around Australia, we cover the initial questions you’ll want to ask yourself to get an idea of what your dream trip will look like, so click here for our big lap of Australia starter planning. We wrote about choosing a car to travel Australia, as well as some modifications we did to the Patrol. We’ve written a little on income when on the road, but we’ll cover more about this soon. We’ve collaborated with other bloggers to write about mindset and why you need to create your own luck to make your dreams come true. 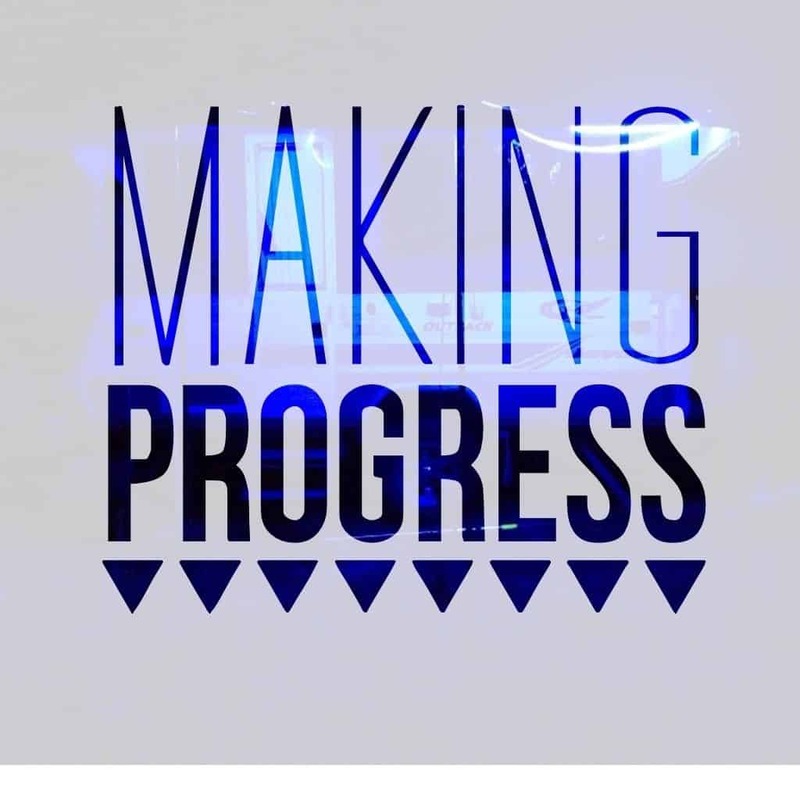 We’ve written about how we too got bogged down into the struggles of life and had to kick ourselves to make our dreams happen. About the struggles it takes for massive life change to get on the road, here and here and here. While there’s lots about our travel that we’re struggling madly to get up on the blog, you’ll find info about many of the places we’ve visited, some of our tips about travelling Australia with a dog, and there’s so much more coming. We have a great Facebook community, and we regularly send out our newsletter, as well as run competitions and we’re always happy to answer questions. You Are So Lucky – An Insight Into Travelling Long Term. It was just a regular phone call to our insurance company. A “no worries” and tap, tap of the keyboard, followed by more questions and a few more minutes of tapping, and our records were updated. A typical question when dealing with insurance companies for sure, I don’t resent them for it, they upsell, the same as banks, the same as McDonald’s, we’re targeted for the upsell by all companies good at their marketing. It’s easier to retain and upsell then it is to gain new customers, my marketing background knows this. What amuses me is the conversation that occurs after I answer them. I guess, it’s because our answer isn’t a very typical one. That response isn’t an unusual one, because truly for most people they perceive our life to be a lucky one. I used to just give a laugh of approval, and agree with them, but today I chose to answer this lady differently. “You know, you could do that, we’re not lucky, we just jumped feet first into a deep pit of fear, and I guess it helps to be a little crazy.” She giggled, sounding nervously unconvinced. I went on to explain to her that our choice to live on the road full time, was a choice. There is sacrifice involved, and life still continues on, it just looks a bit different. There’s still bills to pay, things to keep insured, school work for the kids to do, responsibilities to uphold and work to be done. Those things have not changed in our lives. Choosing to live on the road full time is not like a holiday. 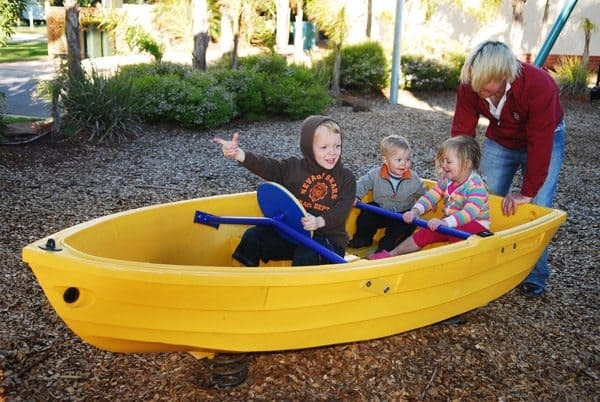 While it is the most amazing thing we’ve ever done, it’s a lifestyle choice, the same as living in the country, in the city, in an apartment or a gigantic house, owning one car or two, having one parent stay at home or both parents working. Everything we do is a choice, and this one is ours. What is more amazing is, that if you are reading this and wondering if you could possibly travel Australia long term, I want you to know this. YES, YOU CAN TRAVEL AUSTRALIA! It takes preparation, it takes a whole lot of soul searching, sacrifice, fear wrangling and craziness, but I can tell you with unwavering certainty, that all those difficult things to face are worth the results. The main thing stopping you from travelling long term, even if it’s just doing a lap for a few months is you. Confronting I know, but you are the only thing standing in your own way. Where there’s a will, there’s a way, and if we can do it, then you can do it too. It takes planning, preparation, and like all awesome goals, you have to want it so badly that you’re willing to do what you need to do to achieve it. 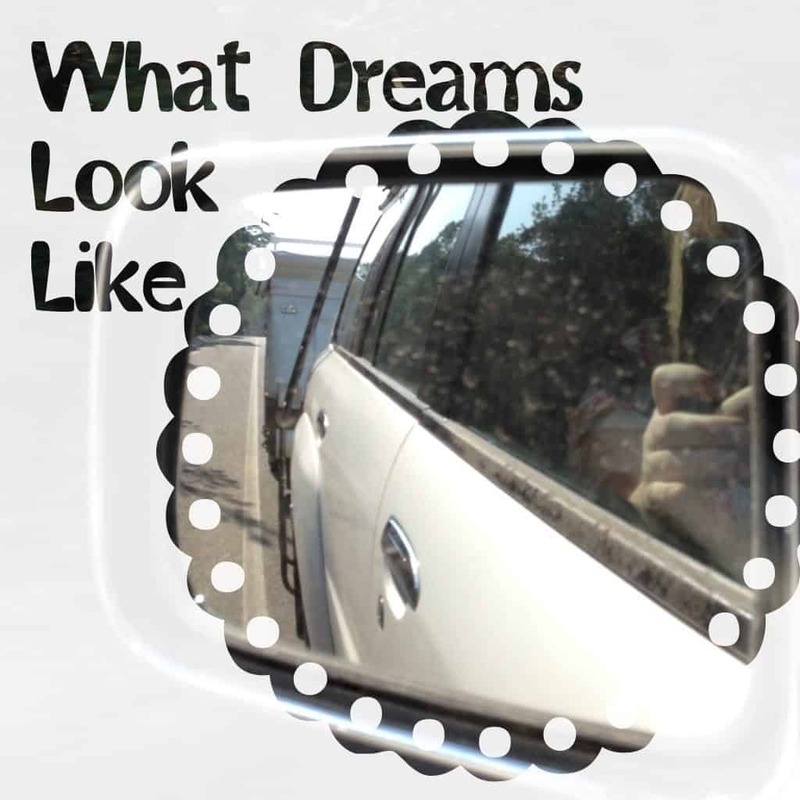 Once Step Closer – What Dreams Look Like. I know that my dream, and your dream won’t look exactly the same, but I can’t share my feeling any better than showing you the what the defining moment of knowing this adventure was all real looked like for me. WE ARE THE PROUD OWNERS OF A JAYCO SWAN OUTBACK!! Sure, she’s not the latest, flashiest model, but she’s all ours, to live in, to enjoy and to tow behind us and to become our home as we explore this amazing country that is Australia. 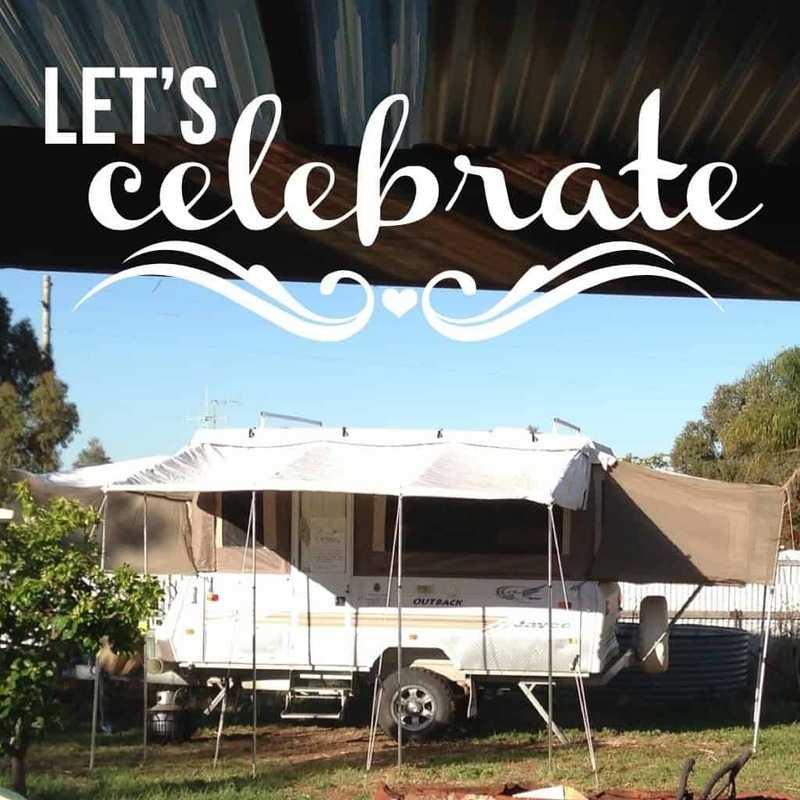 We chose to go a Jayco outback camper mostly because we knew that a full van would be a little bit too restrictive for what we wanted to do as well as costing more to tow. 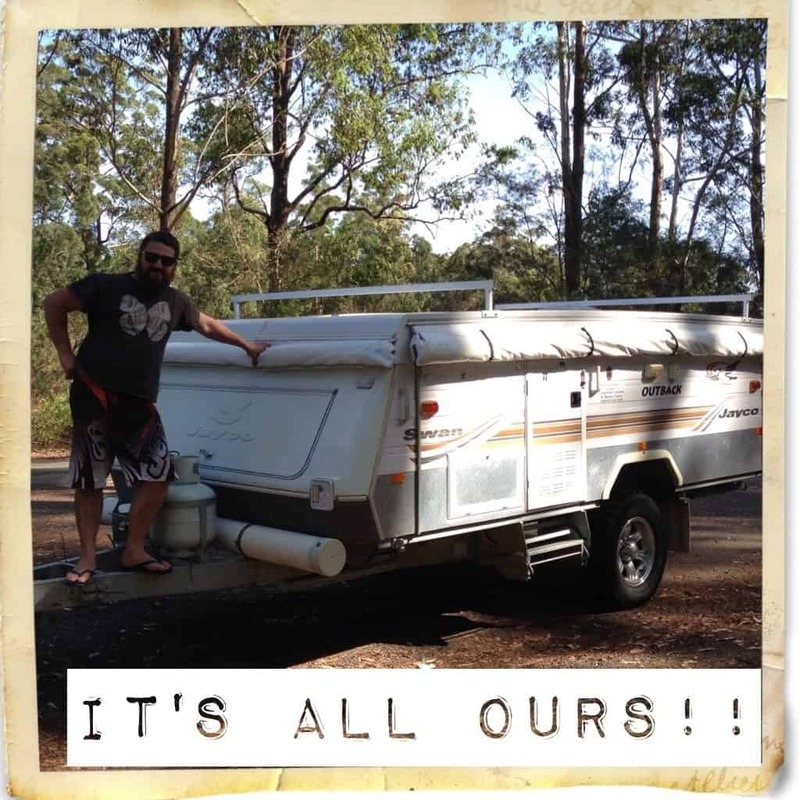 We also knew that a flip top camper trailer, while being slightly more “offroad” than the Swan, wouldn’t afford us the little bit of luxury that this camper will. I’ll give you a tour soon, but each end pops out to a queen bed one end (the kids are sharing that side) and a double bed the other end. There’s a dinette with lounge chairs and table, and a larger U-shaped lounge, as well as a fridge, water tank and sink, gas cooktop and griller, a microwave (we’ll probably remove that for added storage space, and lots of cupboards and storage that means all our kitchen gear etc can stay set up and we won’t have to unpack and pack quite as much as we would in a full canvas camper. It has a kitchen side awning which is great for shade and privacy on the kitchen side of the camper, and an awning with full annex on the door side of the camper. 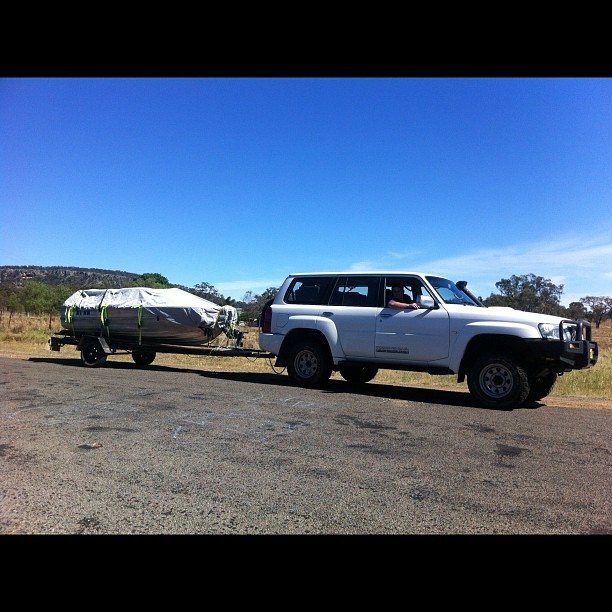 It runs off 12 volt or 240volt, and we’ll be hooking up some solar panels to keep us powered when we’re bush camping. So, that my dear wanderlusters is what has us excited at this very moment. 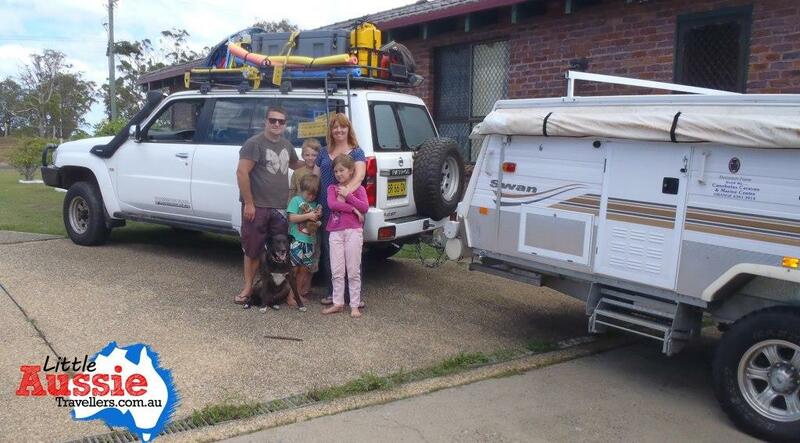 If you’re travelling Australia or planning to, what are you using for accommodation? Got any tips for us on owning the Jayco? Please comment below…. 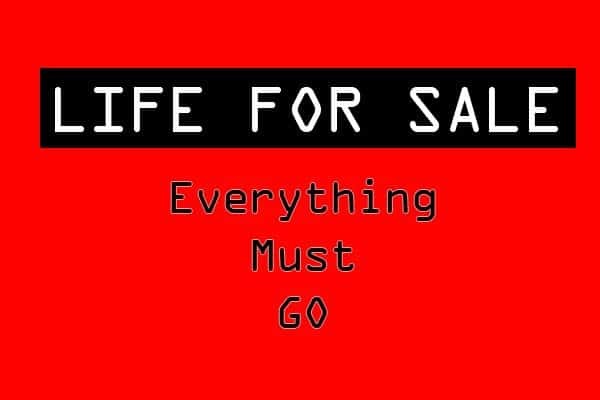 Selling Our Lives: Everything Must Go! Tonight, the simple amount of $50.60 cents has changed our lives and sent us to a point of no return. Just like that with a few strokes of the keypad, and an online payment and our lives are on sale! I guess the most common question we get about selling up our lives to travel is “What will you do with all your stuff”? Our answer is generally just a simple “We’re selling it all”. We’ve answered that question what feels like hundreds of times in the past year, and the answer seems so clear cut and simple. There’s not much emotion behind it, and perhaps there’s even a relief in knowing that we’ll be rid of all the things that seem to weigh us down, and free to explore this amazing country and embrace our children as they grow so fast before our eyes. Other people seem so much more concerned with us selling everything than we are ourselves. But now, it feels real. Now, there’s no going back. On the 26th January, people are going to be knocking at our door, rummaging through our belongings and walking away with a part of our lives that we’ll never see again. There’s something about this experience that’s leaving me feeling very vulnerable, but excited all at the same time. Of course we’ll be keeping photographs and highly sentimental things that are impossible to replace, and my brother is storing those in plastic boxes in his garage. The rest, it will go. If it doesn’t fit into our caravan or car for the trip, we just can’t keep it. It’s that simple. I have to acknowledge that this will be somewhat difficult on us, and on the kids, as I’ve written before but I just know the result, and the life we’ll be living for the next couple of years is going to outweigh the vulnerability we’re all facing right now, I just know it! We’ve already moved a load of things to my brother’s house. Mostly things he wanted, along with our boat and boat trailer, but this week, I’ll be sorting everything we own into boxes and piles of saleable items ready to say goodbye to this coming weekend! So this is it. Our first real step toward long term family travel. Doesn’t it look amazing? Ok, I’ll admit, it doesn’t look anything out of the norm does it? There is our car, towing our boat, nothing unusual about that….. except……. The boat contains parts of our life, tucked away under that cover. The quad bike given to the kids by my brother. The outdoor chairs we bought about 4 house moves ago when the kids were so very much younger, that have welcomed guests during birthday parties, get togethers and many fun bbq’s. The little glass top table and 2 accompanying chairs that Matt bought me to sit out on the verandah of the first house we lived in when we moved to Wauchope. Matt’s swag I bought him when he was doing the rodeo circuit and needed somewhere quick and easy to stay. A wiggles rug I found tucked away in the shed that’s decorated the boys room before the kids all outgrew the colorful foursome. Other bits and pieces are in there too, off to live at my brother’s house. Our first full load of things being rehomed, and it’s all feeling just a bit (ok maybe a LOT) real right about now! We don’t have an exact date we’ll be properly homeless, but the shop is on the market, and we’re starting to downsize and sort through everything. I have a feeling, as with any other move, it will turn into a massive frenzy when the vital moments draw near, because as much as I feel organised, I know it will sneak up on me and I’ll realise we still have too much stuff that we’re supposed to have said goodbye to. If you’ve made the decision to go for the big trip around Australia, or take an extended trip to explore some of the amazing places to see around Australia, then welcome, let’s take a look at some starting points for planning your big lap! That decision is the very start of an exciting journey. One of the most difficult parts of your trip is the budgeting, which starts long before you head off. We’re going to run you through a guide of the things you need to consider for your big trip. 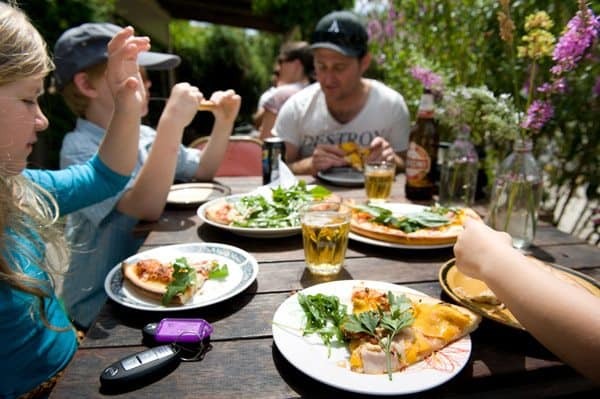 Like everything else when it comes to travelling Australia, the real expenses of your big lap will be highly variable and depend very much on your vehicle, accommodation and level of self sufficiency, so to start with, lets look at some of those decisions you’ll need to make. The first thing to decide about your trip around Australia is just how long you want to spend on the road. This will determine a whole lot of further decisions you’ll make about your holiday. Common time frames range from anywhere between a couple of weeks to a few years, and chances are, your trip will fall somewhere in there. Short Trips: Not only do shorter trips restrict the amount of travel you’ll be able to do, if you’re planning to see as much as you possibly can during your time on the road, you need to keep in mind that cramming lots of driving, attractions and accommodation into your trip will mean an increased short term budget. For longer term trips, itineraries can be planned to make the most of cheaper off peak pricing, self sufficient stays, and a fuel bill that is spread out over a longer period. So, a short trip that covers a lot of ground requires a larger up front budget, vs a longer trip covering the same ground. Longer trips offer pricing advantages, but this shouldn’t put you off. Write down your dream amount of time for your holiday, then write down the minimum time you know you have, work between these time frames to help with planning. Pencil in the time of year you’re planning to travel too, this will help with researching different regions and routes you can travel too (e.g- visiting the Northern Territory in January is extremely hot and right in the middle of the wet season). Deciding where to go on your Australian holiday is an exciting and important part of your planning process. With such a large, sparse country it can be a week of driving to get between destinations. For shorter trips, it’s a great idea to choose a general region or single route that you’re wanting to cover during your holiday. For instance, our first great Aussie roadtrip was the Stuart Highway, reaching from Darwin to Adelaide. Would you believe we covered the entire centre strip of Australia, as well as Kakadu in just 3 weeks! It’s true that by flying through a journey like that, you do miss some things, but if you’ve dreamed of doing something, do it anyway! You can always go back later (just like we are doing). For short trips, stick to a dedicated route, pre-plan which attractions you’d like to visit as well as accommodation if you can, this will help you budget ahead of time. Allow yourself some kind of slush fund though, because you’re bound to find fun and interesting things to do that aren’t on the original list. Remember, shorter trips over longer distances are often more expensive. Longer road trips will, of course, require a more expensive fuel bill if travelling over long distances, and depending on the car you’re driving or your choice of accommodation (more on those later) it may be restrictive. The best guide of longer travel is to have a rough idea of the regions you’re planning to visit, the best time to visit those places, and your expected accommodation expense. These things may change, and for long road trips, it’s often best not to overplan. Have a general guide to follow, but planning each day for a 12 month or even 3 month holiday is not only a drain, it can leave you feeling overwhelmed and disappointed. List your preferred travel regions and note down any climate issues, special events or offers that may be on at that time of year. Plot these regions/towns into approximate dates you might arrive/leave there and work within your expected time frame. Resist the urge to plot exact arrival and departure dates for the entire trip as some spontaneity is great for road trips. If you do need to book accommodation for busier regions, then do so, and adjust your itinerary between your destinations to still allow flexibility. Your fuel bill is going to be one of the largest components of your travel budget, this is a consideration when choosing which car to take with you on your roadtrip. While fuel costs are one consideration, they are not the only one. Accessibility to remote places, reliability, packing space and safety are amongst many other considerations you will need to keep in mind for long term car travel. 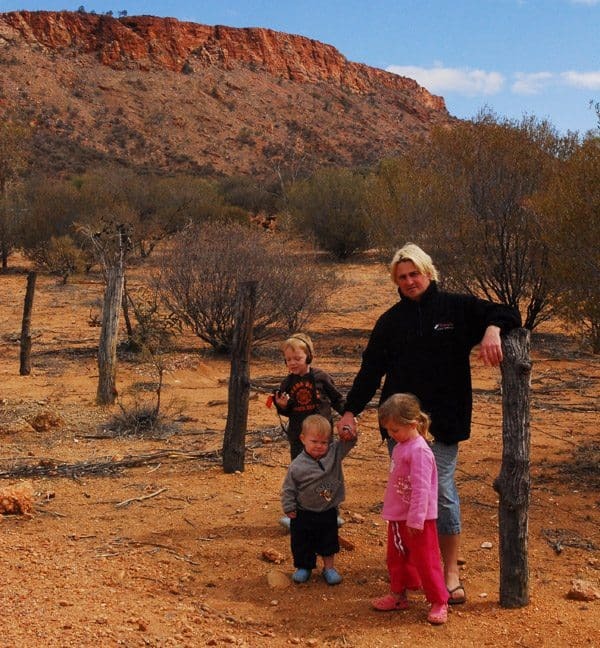 There are many, many amazing places in Australia that you an visit in a small family car, for those looking to get into more adventurous territory, a four wheel drive of some sort is definitely recommended. Perhaps the most important information you will need about your vehicle if you’re going to be towing a camper or caravan are it’s tow limits. Thousands of holiday makers are towing illegally on Australian roads, and it’s not just about the law, it’s about safety too! If you’re planning to buy a new car, or upgrade your car for the trip, then head over to our previous post on how to choose a car to travel Australia. This will take you through all the considerations you need to make. If you’re heading off in the car you currently have, plan your trip accordingly to the abilities of your car. Accommodation Choices for Travelling Australia. Tents: Pro: Portable, cheap – Con: Comfort & Set up time. Campers: Pro: Portable, offroad options available – Con: Set up time vs full caravan, offroad version needed for some access spots. Decide what your budget it is, what types of destinations you’d like to cover on your trip (e.g- how remote you’d like to be), the VERY important consideration of the tow limitations of your vehicle if you’ll be towing and decide on a compromise. You may be able to purchase a second hand van for example to get the kind you need if you’re not able to afford a new one, you might decide to go with a tent because you’ll be doing lots of hard 4wd tracks. The choice is up to you, it’s just important to know why you’re making that choice and what to expect. Just like all the points before this one, your trip is going to be personal, suited to your family, and therefore your budget is going to be different to ours for example. If you’re looking for a guide of sorts, then the most common number that gets thrown around is $100 a day. Taking into consideration the type of accommodation you’ve decided to go with, pre-plan as much as you can, approximately how many nights you’ll be staying in paid accommodation, and, to the best of your knowledge what the price of that accommodation will be. For example, we try to free camp as much as possible as a family, and if you’re self sufficient with your set up, this is a great way to save money. You may do the same, OR you might prefer caravan parks etc. 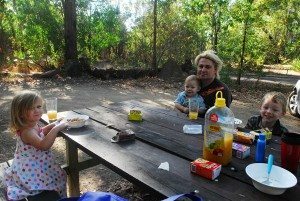 For us, I would pre-plan for the month, take a look at the regions we’re going to and figure out how many nights we’ll have access to free camping, state forest or national park camping, and how many nights we might have to pay for a caravan park. Based on those estimations I can figure out the cost of the month for accommodation. For food, the only real change to your budget will be eating out vs cooking yourself. When you’re situated in an area with great facilities, food costs are likely lower, the more remote you are, the more expensive food often becomes. Sticking to staples and cooking yourself can help keep the budget lower. Eating out will drive the costs of food higher. Definitely go out and enjoy local eateries, just allocate yourself a budget to do so. To figure out your approximate fuel costs for your trip, a little bit of research goes a long way. Work out how much fuel your car uses per kilometre when it’s fully loaded. To do this, fill the tank and do a trip noting the amount of km’s you’ve travelled. Then fill the tank back up, noting the amount of litres it takes to fill the tank, these figures will allow you to work out the amount of litres of fuel you’ll be roughly using per kilometre of travel. This will allow you to budget approximate expenses between towns etc. It’s a good idea to tow your van or load up the car with extra weight to get as close to realistic as possible. Keep in mind that driving a little slower and having great tyres with correct tyre pressure will save you plenty of money in fuel! 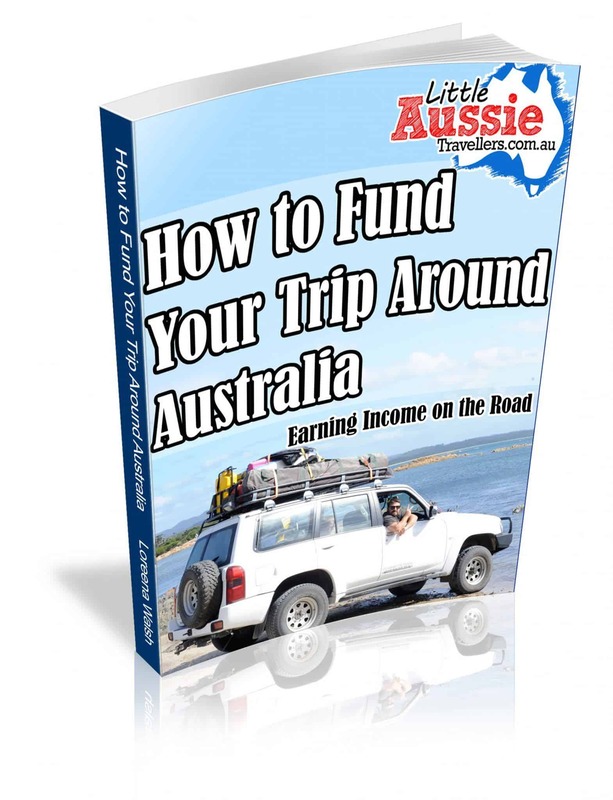 So there you have it, your guide to getting started with the planning of your Aussie holiday. There’s so much to consider, but these points will give you a great start with figuring things out. Let us know if you have any questions or other ideas to add, we’d love to hear from you.